It is understood that all orders confirmed by a deposit receive priority. This deposit is not refundable in case of cancellation. If the customer needs to change the date of the move, we will do everything to satisfy his request within the limits of availability. Loss, damage or delay due to a fortuitous event or force majeure, the enemies of the Crown, public enemies, riots, strikes, a defect or inherent vice of the goods, a act or omission of the shipper, owner or consignee, the effects of a law or quarantine. Of damage to mechanical, electronic or other radios, phonographs, clocks, appliances, musical instruments or other material, regardless of the packer of these items or the person who has packed, unless the carrier has made the preparation and development of these devices. Of damage to works of art, the windows and unsupported and/or framed mirrors and whatever the nature of the damage. Deterioration or damage to perishable food, plants or pets. 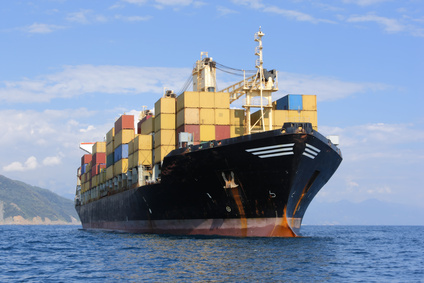 Loss of items packed by the customer, unless the containers used are opened for the carrier's inspection, the items are listed on the bill of lading and the carrier acknowledges receipt. Damage claimed for an entire group of items if only part of the items is damaged or lost. In this case, the carrier's liability is limited to repair or recover the pieces of the set that have been lost or damaged. Any damage occurring to objects on the places of delivery if the customer was not present to acknowledge receipt of said objects to their arrival. For any damage caused to an asphalt driveway or cement at the site of removal unless the customer has specifically prohibited the carrier to put his truck in this area. It is understood that the objects to be transported shall be loaded and unloaded by employees of the carrier. If other people involved in this work, the carrier will therefore be released from all liability to the client. The carrier is bound to carry any documents, specie or any articles of extraordinary value unless by a special agreement to that effect. If such goods are carried without a special agreement and the nature of the goods is not disclosed hereon, the carrier's liability for loss or damage can not be committed. The truck will deliver a full charge until all charges have been paid in cash or certified check. Payment by check is not allowed. If these conditions are not met, the carrier will have a lien until full payment. In case of non-payment, the customer will pay for the retention or transport, storage and transshipment. The carrier shall not be liable for any delay caused by an obstruction in a public highway by a defective road or not passable by any way inadequate, bridge or ferry to support a transport vehicle, for a breach or default mechanical transport vehicle or equipment. The carrier is not liable in the event of a delay in the execution of a move for a specified time. Failure to accept delivery when it is made within the prescribed period, the recipient will be responsible for the storage, handling and forwarding borne by the carrier. If he sees vermin, cockroaches or excessive dirt on the scene moving. If access to the place of removal is considered hazardous (eg stairs covered with ice). If, through no fault of the carrier, the goods can not be delivered, the carrier shall immediately notify the sender and recipient that the delivery has not been made, and shall request instructions on how to dispose of goods. provided he has given notice of its intentions to the sender and the recipient, move and store goods in a public or licensed warehouse at the expense of the sender, in which case it is no longer responsible for loading, while retaining lien in exchange for payment of all legitimate freight and others, including a reasonable charge for storage. Whoever, directly or indirectly, shipping explosives or other dangerous goods without previous full disclosure to the carrier of the exact nature of the cargo in the manner prescribed by law or regulation, shall indemnify the carrier against all loss, damage or delay caused thereby, and such goods may be stored at the expense and risk of the sender. No action against the mover is not admissible unless the claim has been noted on the invoice. It is therefore important to check yourself before the movers leave.